IHG® Rewards Club - Movies - Tent City, U.S.A.
Due primarily to the economic recession, a growing number of people are finding themselves in a position they never imagined: homeless. 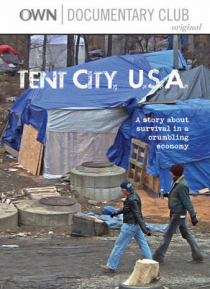 Nashville, TN is home to a fast rising tent city population. With a shelter system that cannot support even 1 out of 5 of the city's homeless population, most people have nowhere to go. Nearly 100 homeless individuals have come together to form Nashville's Tent Ci… ty, which is located under a bridge close to the city's center.